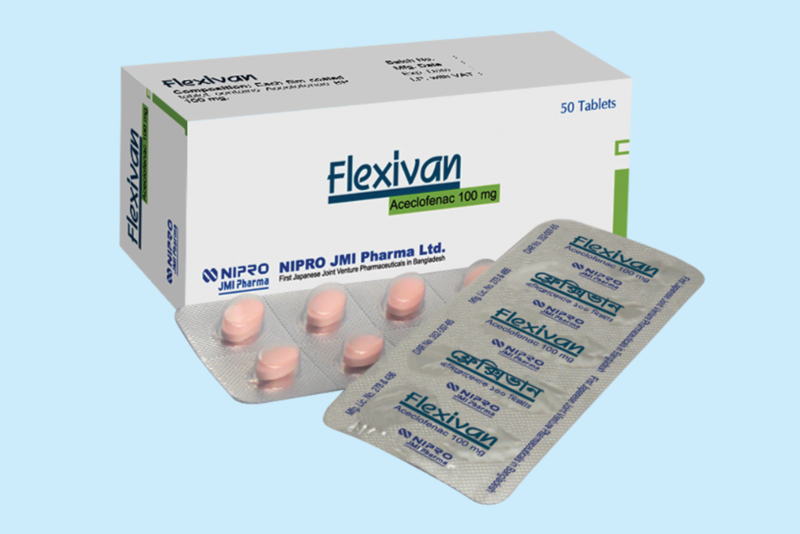 Flexivan (A ceclofenac) is a non-steroidal drug with anti-inflammatory and analgesic properties. It is a potent inhibitor of the enzyme cyclooxygenase, which is involved in the production of prostaglandin. After oral administration, it is rapidly and completely absorbed an unchanged drug. Peak plasma concentration is achieved approximately 1.25 to 3.00 hours following ingestion. Aceclofenac penetrates into the synovial fluid, where the concentration is achieved approximately 57% of those in plasma.